Sorry, we couldn't find any Chrysler Dodge Jeep Ram Fort Walton Beach listings that matched your search criteria. I bought the car, and I'm happy. I didn’t end up buying from them but they were helpful and not pushy at all. Dealer was attentive to my needs and patient while we worked through the process. Beautiful truck. Good price. So much so, I bought it! Worked a great deal and made pickup easy. Highly recommended. Zach, the salesman was very helpful in getting paperwork together and helping with the decision to purchase the car. He gave me all the info on the car fax. I purchased this car, which being dealer certified gave me more peace about buying used. I would recommend Zach Throckmorton for anyone to call that needs a new or used vehicle. He took the extra time to give great customer service at Fort Walton Beach Dodge Jeep Ram. Even when I couldn't get right back to them in reference to my inquiry, they provided me with any necessary info that I needed to further my vehicle search. Price on CarGurus was 34105$. I contacted the dealership and price out the door was 45k$. What a scam. Don’t trust this dealership. Truck was not running, (fuel pump)I made an appointment ,n drove 150 miles round trip for nothing!!! Monday and Tuesday dealership texting then nothing until Friday to text it sold. I informed them I was coming over on sat. He only text me , no call ,not personal just said sold. They were very helpful and easy to deal with. They never called me back about my trade. said they would call me never did. Zach was great to work with. We bought a 2016 Jeep. Great dealer. I just ended up buying from another dealer. Very helpful group of professionals. Jeff S is fantastic. Just didn't have anything to for my needs. The salesman was very professional but not the pushy salesman as most are! Earl allowed the car we needed for a tow vehicle for our RV and the personal of the dealership help Bev me get a good deal for all. It’s a long drive from our home in Georgia to Fort Walton Beach; but worth the time to find a dealership that sells itself along with the vehicle we wanted. Contacted the dealership to see what trim level the vehicle was listed in their advertisement. Spoke to someone who said they would check, she came back and said it was a hatchback. I told her they don't make a Golf that isn't a hatchback... I explained to her how some Hondas cars come in an LX or EX trim package, this Volkswagen comes in an S, SE or SEL. She apologized and said just a minute. She came back again said it was turbo, that was the trim level. I told her that TDI means Turbocharged diesel injected and all of the Golf TDI's are turbocharged... I thanked her for the help and found a different listing. A great dealership that actually got me in this truck my dealer was Kelly Cummings really professional and very straight to the point. Very happy with how everything turned out. Look forward to doing business with them again! Kelly was very helpful and on a rainy day parked the CR-V where we wouldn’t get wet. Car was not color we liked but Kelly took our preferences and said she would continue to research. they replied quickly. I failed to follow up. Great experience very informative, no haggle price. They were very pleasant and easy to work with. We made a deal last Saturday for $20K all in with some terms for my mech inspection. I signed and they signed and then they changed their mind. they did not want to allow the time we agreed to for my mech. inspection. Therefore I felt they just wanted to closed the deal then renegotiate the terms we agreed to. I then ended the re-negotiations. First contact was quick, salesman seemed nice and apologized for the site not being properly updated due to the car no longer being in inventory. Very responsive dealer. Described vehicle adequately over the phone. I subsequently purchased the vehicle at a fair price and am pleased with my purchase. Internet manager Clayton White was very helpful in facilitating the deal! I only had phone and email contact with this dealership. They were fine with all my ? . The jeep I was looking at with them was over priced but I believe that could have been fixed in negotiation. This dealer insulted me their estimate with my 2007 Chrysler 300C SR/T between $5000-$10,000 I wanted $16,500 for mine no respond back This is a rare car. 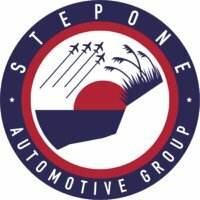 This dealership[ Lee Chrysler Dodge Jeep-Ft. Walton Beach] offered an auto for sale on this site, but did not list a price; so being interested in that auto, I emailed for a price. Although they responded to my email, they stated the auto was no longer available. Yet it is still being listed as "for sale" on this site over a week later. I looked in your reviews for this agency, and this has happened to other people just like it happened to me, Not a good dealership to deal with, would never recommend them. Buyer beware!! Ad had no asking price. When inquiring they refused to provide the information. And were rude Couple days later vehicle was sold to someone else. Not a good way to treat coustomers. Would not recomend to anyone. I was very happy with my purchase at LEE Chrysler Dodge Jeep. Chris Pike was my salesman and he did everything he promised. They where amazing. Really good people. Made sure that my family and I was taken care of and that we did not leave the lot without having the best vehicle possible. They went above and beyond what most dealerships would do. This is one extremely happy customer. Great customer service. We ended up buying a used car from another dealer- only because they had something a little closer to what we were looking in our budget- but our overall experience with Lee Chrysler Dodge Jeep in Ft Walton Beach was great! Jason and Eric helped us beyond customer service, really great guys. Didnt help at all, i jad to drive to alabama to purchase a vehicle. salesperson was very responsive, and ansewered all my questions.